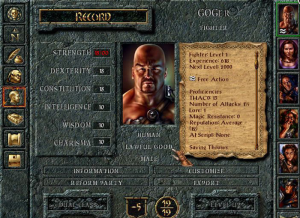 During the late 80s and early 90s, Computer RPGs or CRPGs were first person and for many older gamers was the heyday of the genre. In the late 80s, the gold box series took the Dungeons and Dragons theme and design and created first person CRPGs. But as the series’ popularity started to wane, so did the CRPG market. But in 1997 a little company known as Bioware would revive the genre for a new generation of gamers and become one of the most popular developers around. One year before, Interplay released Fallout: an isometric CRPG inspired by Wasteland. Unlike previous CRPGs or the Gold Box series, Fallout had its own combat and character development system. The SPECIAL system allowed the player to create a character to their specifications and go exploring. Fallout was a big success and set the stage for Bioware in 97 with Baldur’s Gate. 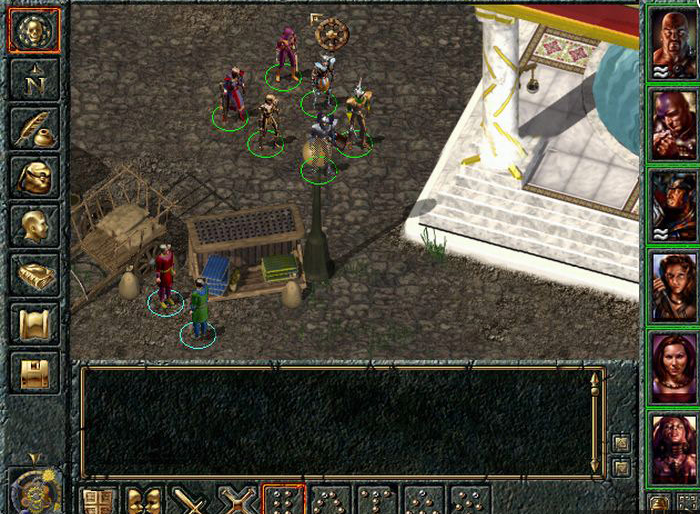 Baldur’s Gate was considered the next evolution of the Gold Box series. Taking place in the Forgotten Realms setting of the Dungeons and Dragons universe, it was up to the player to uncover a huge mystery and save the world from evil. What separated Baldur’s Gate from Fallout and garnered praise from RPG fans was that the game was designed around the Advanced Dungeons and Dragons 2nd edition rule book. The same book that was used for pen and paper games of Dungeons and Dragons at the time; making Baldur’s Gate the first game since the Gold Box series to continue the tradition. Using the advanced graphics (at the time) of the Infinity Engine, allowed Bioware to take RPG design from a first person perspective, and made it into a 2D isometric perspective. Both character building and combat were designed around the rule book with a pause-able combat system. Using the rule system at play, the game was at the time, the closest anyone came to translating the complexities of a pen and paper game, to a video game. The game itself effectively became the dungeon master: performing the dice rolls and behind the scenes computations to determine how the game played out. For a pen and paper RPG fan, they could see the dice rolls and equations and played the game that way. While a novice or someone new to Dungeons and Dragons could just hide that information and still play the game. 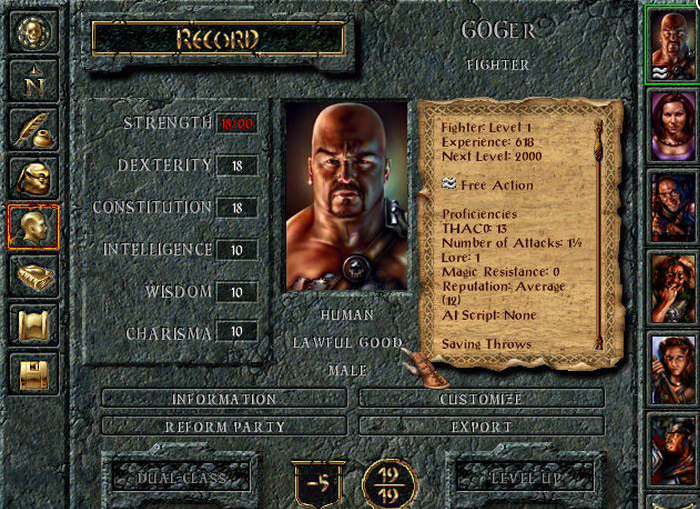 Baldur’s Gate used the same system for character creation as in the rule book, to allow the game to mirror the Pen and Paper experience as closely as possible. Throw in a huge world full of side quests, places to explore and a cast of memorable characters and Baldur’s Gate became a hit. But more importantly it opened up the door for a revival of both the CRPG genre and for the Dungeons and Dragons brand on the computer. Following the success of Baldur’s Gate, we saw a resurgence of CRPGS, from Planescape Torment, Icewind Dale and Neverwinter Nights to name a few. These other CRPGS would also base their rule-sets from Dungeons and Dragons continuing to attract both pen and paper fans and newcomers to them. Neverwinter Nights even came with the ability for people to create their own modules and stories allowing fans to share their creations with each other. 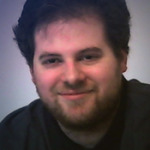 Bioware in response became one of the most prominent developers in the industry which helped them get the Star Wars license to create Knight of the Old Republic, which became one of the best selling games from the company. Combining the more accessible nature of video games with the depth and complexity of pen and paper design gave the CRPG genre a new lease on life, and an effect that we still see to this day. As many CRPG designers use the pen and paper system as inspiration when designing their game mechanics. Who knows where the genre or Bioware would be today, if it wasn’t for Baldur’s Gate.